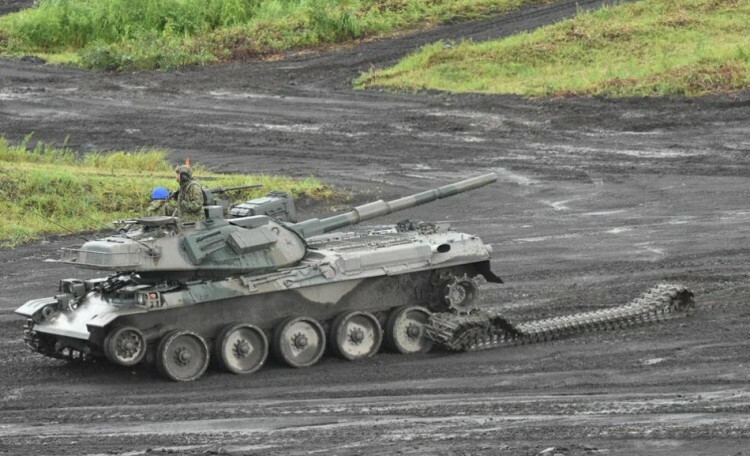 A Japanese Ground Self-Defense Force Type 74 armoured tank after it lost its tracks before an annual training session, which is based on a scenario to defend or retake islands in Japanese territory, near Mount Fuji at Higashifuji training field in Gotemba, west of Tokyo. 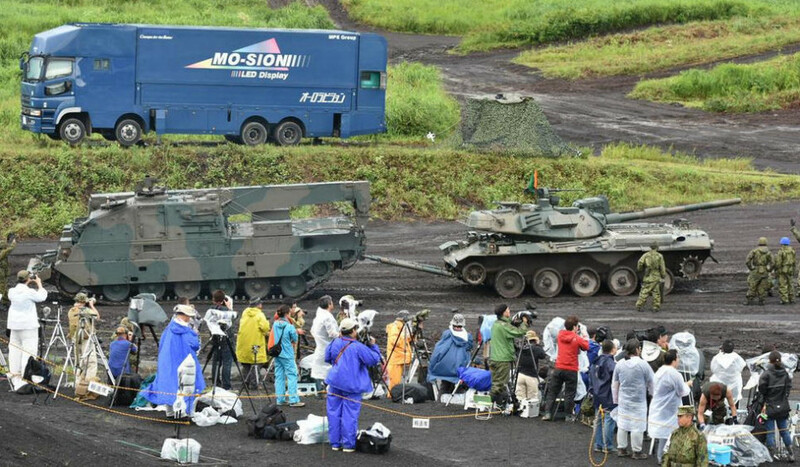 apan’s army showed off its abilities Tuesday in an annual live-fire exercise at the foot of Mount Fuji, as the country’s lawmakers debate legislation that would expand the military’s role overseas. 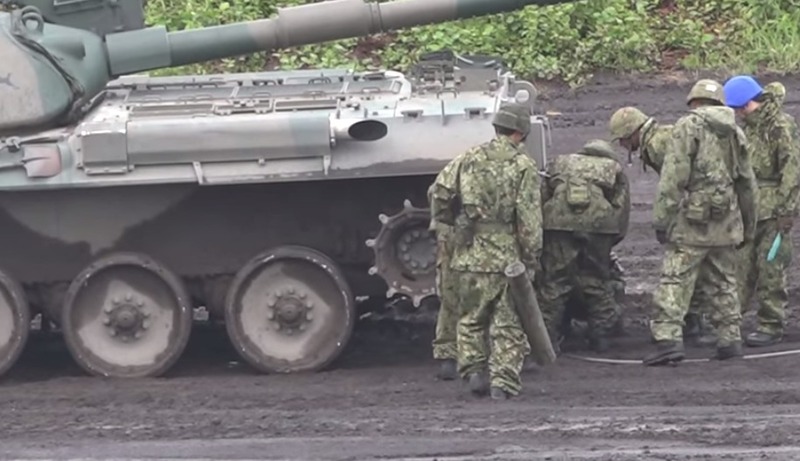 A wave of firing tanks shook the ground at the base of the scenic mountain, and helicopters hovered in front of more than 12,000 spectators sitting on the ground or in bleachers. 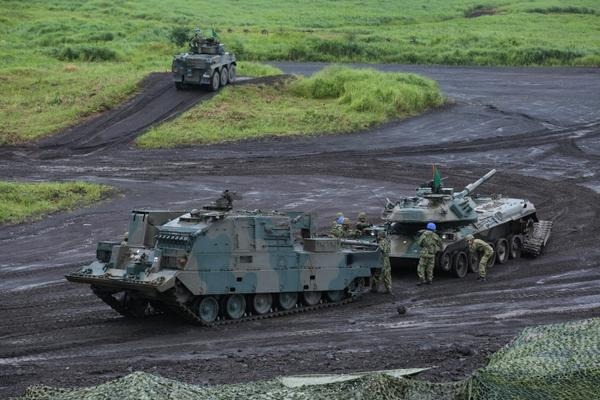 The Ground Self-Defense Force exercise involved 2,300 troops, 20 aircraft, and 80 tanks and armored vehicles. 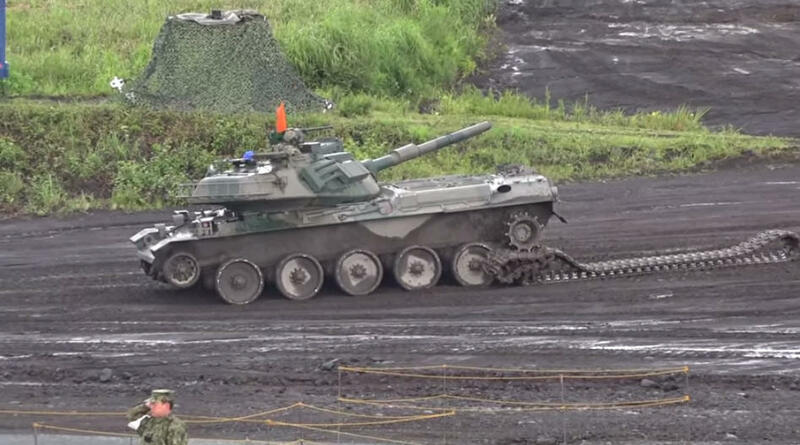 The Type 74 is a main battle tank (MBT) of the Japan Ground Self-Defense Force (JGSDF). 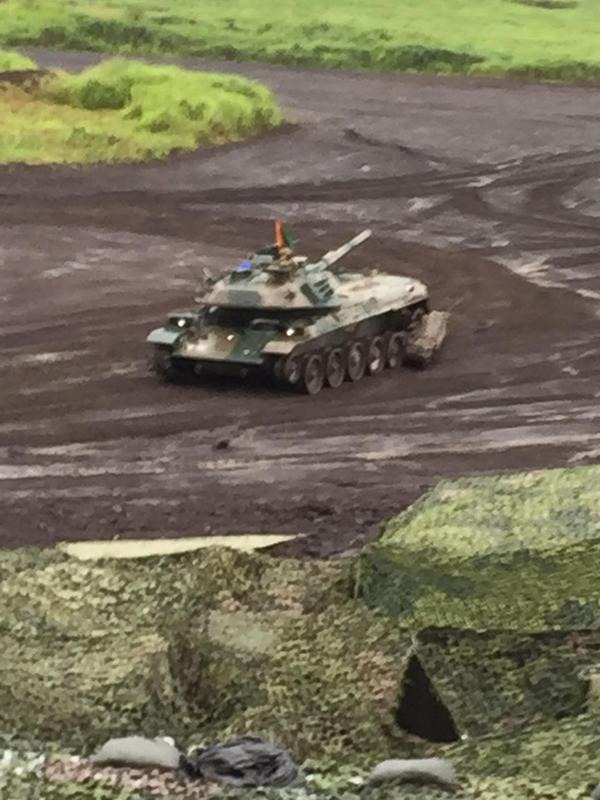 It was built by Mitsubishi Heavy Industries as a replacement for the earlier Type 61. 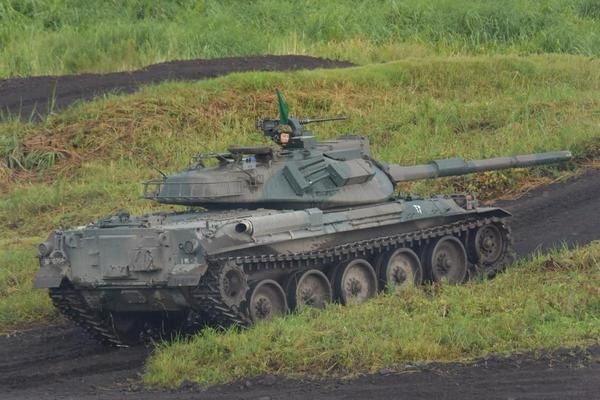 It was based on the best features of a number of contemporary designs, placing it in the same class as the US M60 or German Leopard 1. 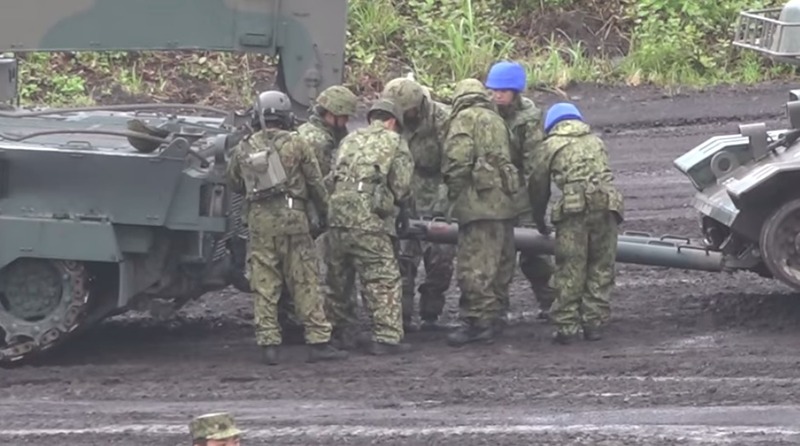 Like these designs, it mounts the Royal Ordnance L7 105 mm gun. The design did not enter widespread use until 1980, by which point other western forces were starting the introduction of much more capable designs.